I made this little mouse in pajama quick bento from the dinner leftover plus the omurice that I made this morning. I put chikuwa stuffed with baby carrot, carrot & chayote stir fry, and bulgogi. The white collar and the pocket of pajama were made of tofu. The little mouse were made of pink-white kamaboko that I cut with various round cutters. 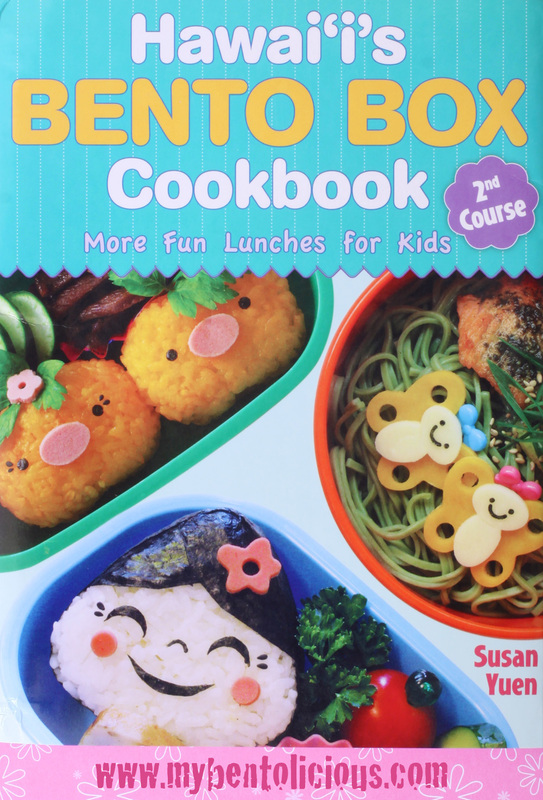 Susan Yuen's book is my first bento book in English. Sure I won't miss out her second book that was just released this April. Susan put a lot of bento samples with ingredients and step by step instructions on how to make it, very clear and easy to follow. 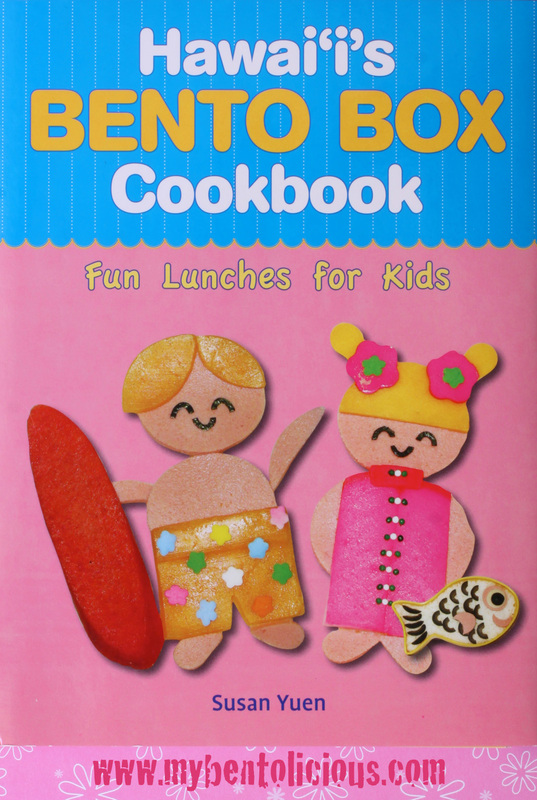 The book also contains various recipes that we can put in the bento. I learn a lot from Susan's book and blog as she is a great bento maker and she is very humble. I am sure all of you will benefit reading her books and blog. And I am happy to put these 2 great bento books in my book collections. I'm sure all of you can make fun lunches too after you reading her book. Such a cute mouse in pajamas bento. You always make perfect egg sheet! Such a cute mouse in pajamas pocket! Love him! I got my book too, yippee! I hope some of Susan's expertise will rub off on me, hehe! Hi Lia, It's so exciting to get Susan's book. I've ordered one and it should be arriving any day now. Can't wait to see what's inside and what your next creation will be! I'm thinking about buying those two books, too. Oh Lia, thank you so much for the lovely post about my books! I am the one who is always inspired by your wonderful works of bento art! 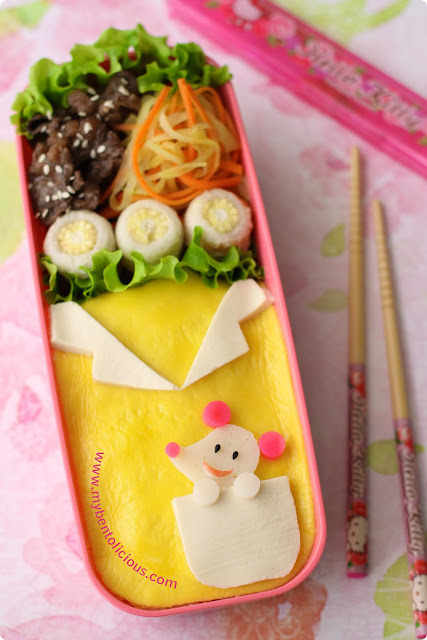 Once more you have outdone yourself- this mouse bento is absolutely wonderful! Your bentos are not only beautiful to look at but delicious as well! Amazing! Hi Lia, loves your mouse in the pocket. really great idea..wonder where you get all these ideas everyday for your kids' bento?! Love Susan's books too..really wish to own them for my future references..hope can get a splash of her talent too!! I was just flipping on my bento book this morning which I bought from the bookshop last December. Thought of making something but first let me go thru your previous posts...hehee...need to copy from you. @Anncoo : Thanks a lot Ann! hahaha ... you are most welcome to copy it. I also get the idea from here and there :D Hope to see it on your blog soon! the mouse in the pajama pocket is so funny and clever, i love this idea! you are full of fun ideas, lia. and well-executed as always - the dinner leftovers look delicious, and everything is neat and pretty. you n yr bento book collections....me envy! ^_^, i've been aiming the susan yuen bento book too...wanna grab one soon soon.. It is so cute. I can't wait to get Susen Yuen's book. Lucky you. So is that the cat's pajamas the mouse is in? lol! sorry i've been absent. school is so busy, but I'm glad to take a break by looking at your cute bentos! I love the bright yellow of this one Lia! The little mouse in pajama is just too cute. It looks happy and comfy to sit inside the pocket..:P.
@Jenn : Thanks a lot! @mr. pineapple man : Thanks a lot! Love your sweet bedtime scene bento--ah, so adorable Lia. Also loved reading about Susan's book and your kids excited reactions to it! Bento always makes me hungry. YOu bought Susan's book??? Aiyo... I still can't get them... thought of asking a friend to help me buy and ship over to me. You have such meticulous handy work. It's a pj? Wow! So cute!